Red knit long sleeve jersey. 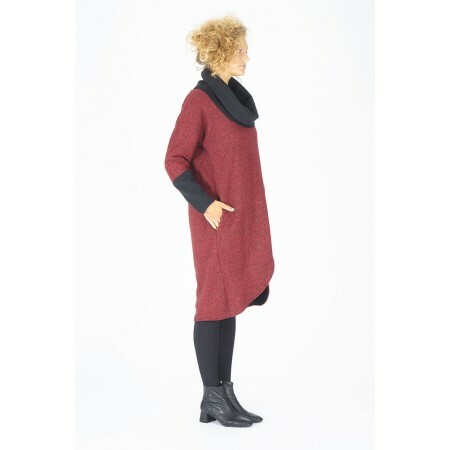 Red knit jersey/dress, crossed, with open round neck ang long sleeves as the same color as the neck. 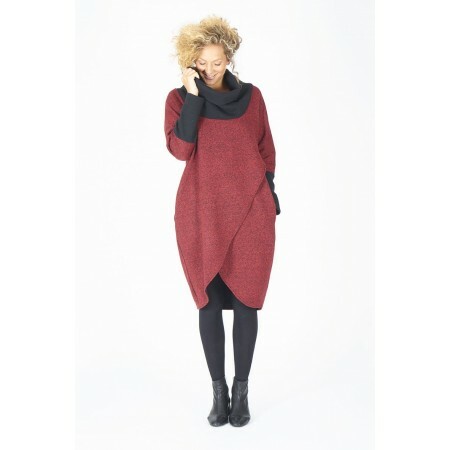 One size oversize style (42-46 approx.). Composition: 96% PES, 4% ELA.